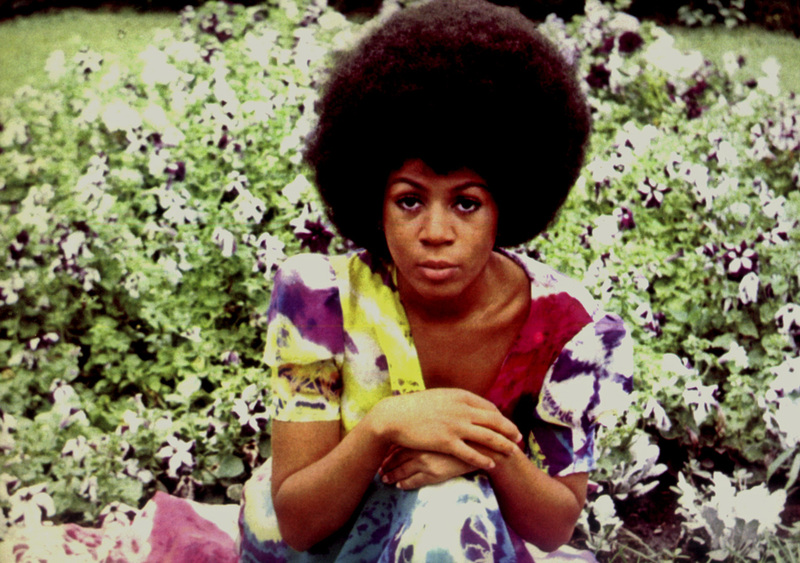 After a weekend respite to make the most of the endless rain and grey skies in the UK, we are back with day six of our seemingly ironically named ‘Sounds Like Summer’ which I am going to start by throwing into the ring for your consideration ‘Les Fleurs’ by Minnie Ripperton. A flop at the time (1970), but possibly along with ‘Lovin You’ – As used by The Orb – her most enduring and influential track. Whilst the verses could be argued to be springlike, the chorus is a summer explosion of choral joy. Music to watch raindrops run down a summer window. Over to Gerard, Roy, Sindy and Andy for their picks for today. Actually I do see the Kate Bush similarity now you mention it. It wasn’t really until The Orb sampled her that I became aware of her at all. Always loved this Minne Ripperton track – great choice ! Great track and hadn’t heard it before. Did spend my younger days trying to hit that high note from Lovin You.! So, here’s The Lighthouse Family …. How many blogs will feature the Lighthouse Family and Slowdive next to each other? Eclecticism is the spice of life! Moving swiftly on…. 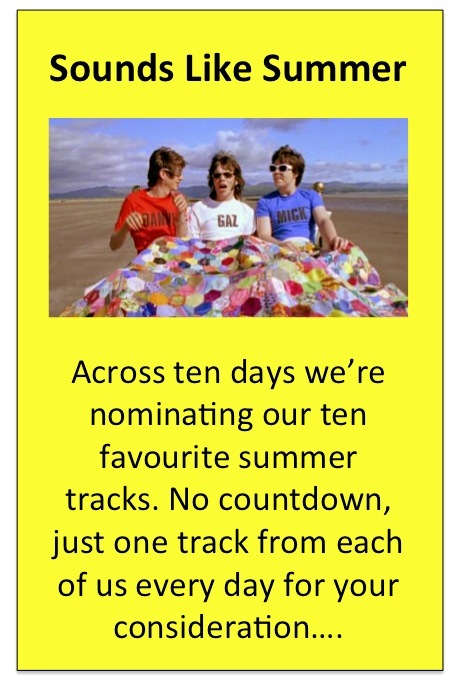 I could have picked one of half-a-dozen or so tracks by this lot (and Richard might). Nothing says summer quite like a dose of blissed out, classic shoegaze. Loving this track Roy, the start reminds me of Total Control by The Motels. As featured in our ‘Lost In Time’ series last year – we don’t just throw these things together you know! Never really thought of Slowdive as summery, but this clip does indeed challenge that pre-conception. Brings back happy memories of that great gig we attended back in December at Kentish Town. I wonder if that is it or whether they may be working on some new material. I hope so. What their return did do was amplify the influence they have had. The so-called shoe-gaze movement was far from a cul-de-sac but a huge influence on artists like Blur, Foals and Arcade Fire. A legacy reclaimed. Most of this set seems to be on Youtube, so i will look forward to seeing it all this evening. Always been a ‘summery’ feel to Slowdive; ‘Catch The Breeze’, ‘Beach Song’, ‘Spanish Air’, ‘Waves’, Golden Hair’, ‘Morningrise’, ‘Shine’ – even ‘Souvlaki’ at a push ! They were incredibly good in December – a lot better than I remember, interviews at the time did hint at new stuff. They have also been a direct influence on new bands such as Beach House, Best Coast, Wavves, Tamaryn, Pinkshinyultrablast and many others. Also who can forget Coldplay playing homage throughout Vida La Vida and particularly ‘Yes/Chinese Sleep Song’. Suggested by a friend of mine, had totally forgotten about it. And managed to find a TOTP performance complete with the random dancers that had no connection with the song. Interesting that everyone seems to sing in this falsetto nowadays – Everything Everything, Django Django, so this track actually doesn’t seem as dated as it might have done a few years back when singers were growling rather than trilling. I’d also completely forgotten about this – which is unforgivable as I’ve actually got the 7″ single ! For many people, today marks the first full week of the summer holidays, and so with chilling logic, I give you this offering. Taken from the band’s second album, “Contra”, this demonstrates the punchy-pop string of their bow, but don’t be fooled into thinking this is all they have to offer. Now three albums into their career, it’ll be interesting to see where the wonderfully-named Ezra Koenig decides to take the band. Incidentally, this always goes down well with the younger element of my family when embarking on car journeys “up north” – the holiday starts here, kids!